Click the button below to connect with our Facebook events page. The Amish Incident in Iowa that changed education in America—Fourth Wall Films, Tammy and Kelly Rundle, Moline, Il. 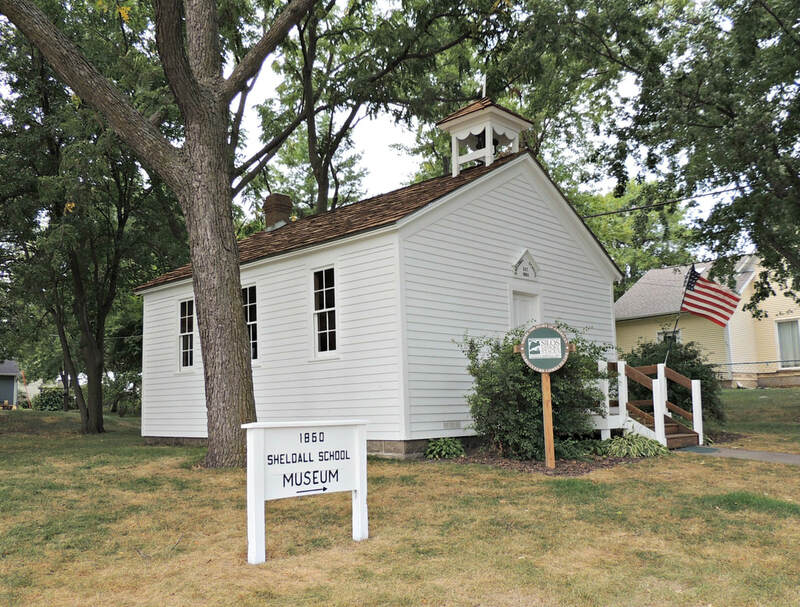 On Saturday, October 12th, a group tour, starting in Story City and traveling around Story County, will provide you an opportunity to visit several preserved and furnished country schools, as well as schools that have been repurposed into barns and homes. You will also enjoy a lunch in Ames, Iowa at the Cornucopia Restaurant & Gift Shop. For detailed information about the conference and to register, please download and review the Conference Brochure. You may download and print the Registration Form Only if you would like to register multiple people. 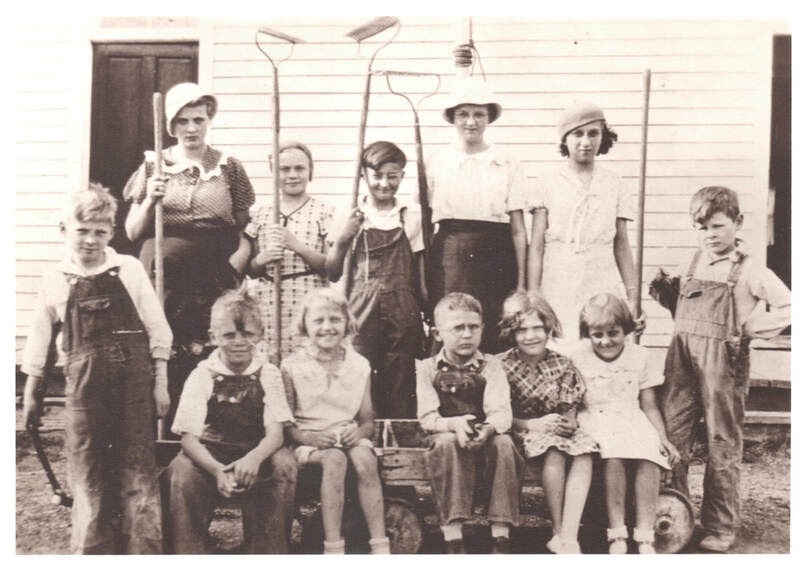 Clean up day at Merkel School 1935. Each year conference attendees are asked to bring items related to country schooling (bells, slate boards, books, flags, paintings etc.). These items will be displayed and sold through a silent auction process. Proceeds will be used to offer mini grants through Preservation Iowa to help groups and individuals wishing to preserve country school buildings and programs. The conference organizing team is indebted to those locally who are contributing to its success. ​Join us for a sampling of coffees and desserts! You will have the chance to sample 5 flavors of coffee from KaffeGeita. A variety of mini desserts will be served, all made by local bakers. Along with the great coffee and desserts, Nadine Dobbe from NKDesigns will be demonstrating some of her Scandinavian paper crafts. Nadine will have a variety of items for sale including woven paper heart baskets, woven star ornaments, and papirklip. As well as greeting cards that feature her son Brian's photography. You'll be able to try your hand at a woven paper heart or a Nordic star. Plus, live music from local musician Pat Hashman! ​Tickets are $12.00 per person or $20.00 for a pair. Tickets purchased using the online option at the left will be reserved under your name and available at the "Will Call" table the day of the event. ​Tickets are also available at the Carriage House Museum, GCC Office (524 Broad St), or at KaffeGeita (1463 Broad St). 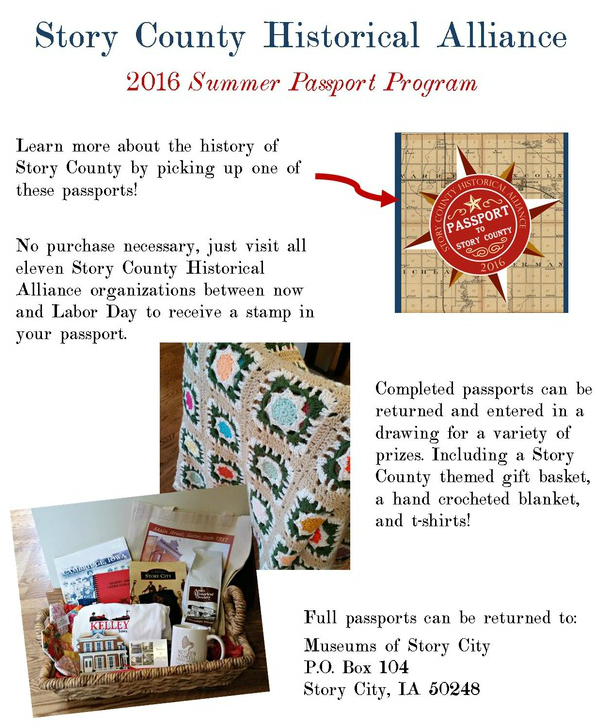 Passports are available at all eleven Historical Alliance organizations, or you may download a passport below. This informative, humorous, and touching portrayal depicts the General’s tenacity to win the Civil War, the President who struggled to rebuild the country after the war, and the husband and father whose final efforts were devoted to the financial support of his wife and family. There will be a reception with refreshments in the high school commons following the performance. 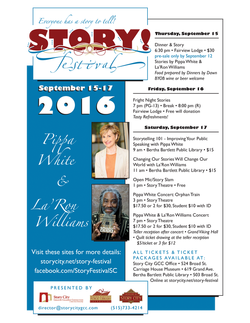 All proceeds benefit the Story City Historical Society Foundation and the Bertha Bartlett Public Library Foundation. Online ticket sales have ended. Tickets will be available to purchase at the event. $10 each for students K-12. Tickets purchased using the online option at the left will be reserved under your name and available at the "Will Call" table the day of the event. Tickets may also be purchased at the Carriage House Museum (619 Grand Ave.), Bertha Bartlett Public Library (503 Broad St.), or Story City Greater Chamber Connection office (524 Broad St.) during open hours.